Kyadondo East MP Robert Kyagulanyi aka Bobi Wine has been arrested as he attempted to check in at Entebbe Airport to fly abroad for further treatment. Kyagulanyi and his co-accused are facing treason charges and were granted bail on Monday this week. Since his release on Monday, he has been admitted at Lubaga hospital and his arrest came hours after the Mityana municipality MP Francis Zaake was too blocked and arrested at the same airport. Zaake was flying to India for further treatment after being referred by Lubaga hospital. 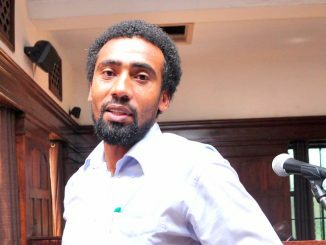 Zaake, like Kyagulanyi was brutally arrested by the presidential guards and tortured during arrest in Arua and while in detention. On arrival at Entebbe, Kyagulanyi was taken into police custody and driven in an ambulance to Kiruddu hospital where Zaake was also forcefully checked into. 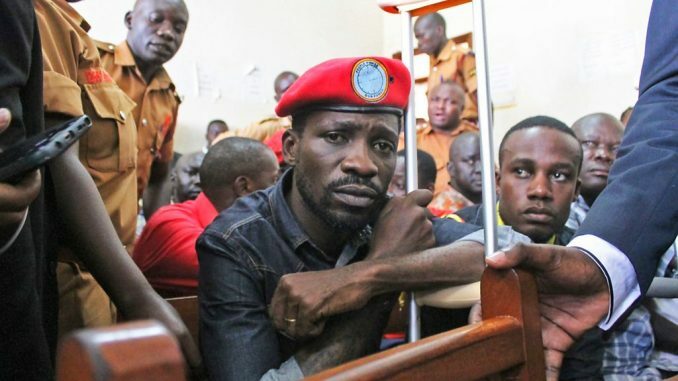 “The Uganda Police have violently blocked Hon Bobi Wine from traveling outside of the country in spite of the court declining to do so when being released on bail earlier in the week. This is absurd to say the least.” Nicholas Opiyo, one of Kyagulanyi’s posted on his twitter at 9.17pm on Thursday. “Any medical doctor who conducts any medical procedure on MPs Hon Zaake & Hon Bobi Wine without their consent will be violating the hypothetical oath, the Medical & Dental Practitioners Act & the Code of Ethics for Medical & Dental Practitioner & will be personally pursued,” Opiyo added. A reliable source in the police told this publication that Kyagulanyi was arrested so that he could be checked by a team of doctors. “The worry is that if he goes out of the country, he may return with medical reports that are different from his current condition and so we want to be sure of what his condition is,” the source said. The police spokesperson Emilian Kayima could not be reached for a comment on Kyagulanyi’s latest arrest. Kyagulanyi was arrested on August 14 on allegations that he, and 32 others stoned the convoy of President Museveni as he was leaving Arua on August 13. 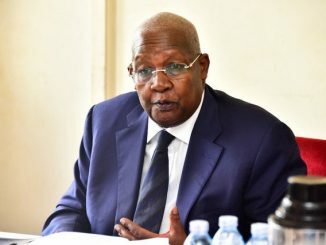 Museveni had just concluded mobilising support for NRM candidate Nusura Tiperu in the Arua municipality by-election which was eventually won by opposition candidate Kassiano Wadri (also arrested). Although charges of illegal possession of firearms and ammunition were dropped off Kyagulanyi’s back, he was rearrested and charged with treason in the Chief Magistrate’s court. The 33 Arua suspects were granted bail the Magistrate’s court in Gulu on Monday.